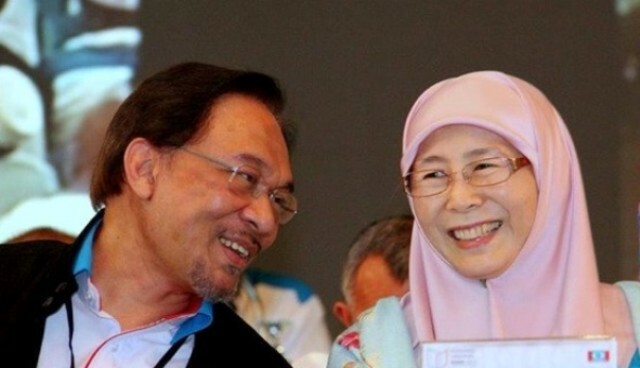 JOHOR BAHRU – PKR de facto leader Datuk Seri Anwar Ibrahim today gave the assurance that PKR president Datuk Seri Dr Wan Azizah Wan Ismail would step down as Deputy Prime Minister after his appointment as Prime Minister. He said until then Dr Wan Azizah would not relinquish her post in the cabinet. 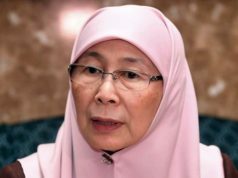 “Why didn’t Wan Azizah step down” If she did, PKR will lose the Deputy Prime Minister’s post. (And) I have also informed (Prime Minister) Tun Dr Mahathir Mohamad that if I win (the Port Dickson parliamentary seat), I don’t want to be in the government right away. I want to give way for Dr Mahathir to discharge his responsibilities until my time comes. “So, be patient, when I’m appointed (as Prime Minister), Dr Wan Azizah will step down (as Deputy Prime Minister). When? When it’s my turn to be the Prime Minister. 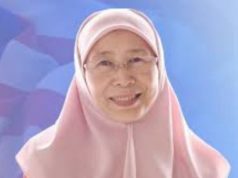 There is no need for people to make a fuss of it so early, wanting her (Dr Wan Azizah) to step down. This is what is happening in the country, but be patient. People raise this matter and I explain,” he said. Anwar said this before a crowd of about 500 PKR members at a “Bicara Maal Hijrah” programme at Dewan Utama Kompleks Warisan Sultan Abu Bakar here today. He was responding to a statement by army veterans, warning him against creating a family dynasty in Parliament. National Patriots Association (Patriot) president Brigadier-General (Rtd) Mohamad Arshad Raji said Anwar should have asked Dr Wan Azizah or his daughter Nurul Izzah, to give up their parliamentary seats instead of asking a retired rear admiral to do so. He said Anwar had now laid the family open to charges of nepotism if he made it to Parliament. 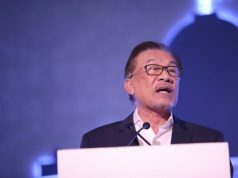 On his relations with Dr Mahathir, Anwar said he and Dr Mahahthir had made peace with each other. “The whole world knew I was his enemy. The whole world knew we were a strong team (in the government before). When we fight, we really fought. Now we have made peace, Everybody should support. I and Dr Mahathir make peace so that what happened before will end.” he added.